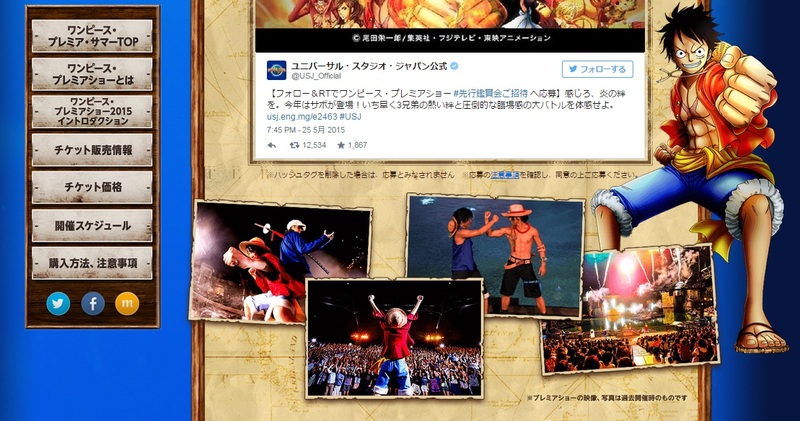 The splash page of the One Piece Premier Summer event on USJ's website. The One Piece Premier Summer is an annual event at USJ based on the story of One Piece running from July 3rd until September 6th (the Premier Show plays until September 30th). 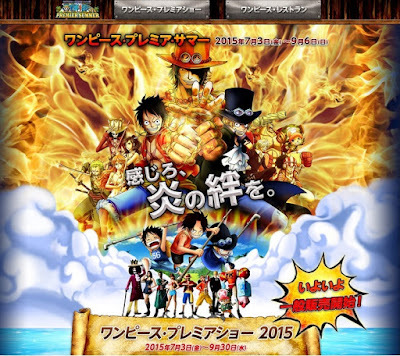 Various locations within the park will be redressed to fit the One Piece world and special events like Sanji’s Restaurant and the One Piece Premier Show are held every weekend, and even daily during the summer holidays. I would even go so far as to say it’s the most anticipated event on the USJ calendar and many visitors come dressed as their favorite characters. While there is no extra fee for exploring parts of the park dressed in the One Piece theme, the special events like Sanji’s Restaurant and the One Piece Premier Show do come at an extra price aside from the park entrance fee. The main page for the Premier Show on USJ's site. This is the main even of the Premier Summer showcase. The Premier Show is held in the Waterworld venue, and runs for 75 minutes with the doors opening at 18:45 (show starts at 19:15). This year, they seem to be touting their S3D Projection Mapping system, which was also used in last year’s show, but there are also water and fire elements to the show, as well as an impressive sound system. During the show, there always seems to be more singing and dancing that any kind of story-telling, but the musical sections do allow for more interaction with the crowd, which is a nice bonus. In previous shows, they picked out people from the crowd to participate in mini games, but as the event has become more and more popular, it seems they’ve forgone that direct kind of interaction for more interaction that can be enjoyed by the entire crowd. This year’s story seems to revolve around the 3 brothers Ace, Luffy and Sabo, despite Ace being very dead canon-wise. But seeing as the stories presented at the event are never canon, it’s easy to sit back and enjoy the spectacle. This event is ticketed and seats are assigned, which means you will need to purchase a ticket before the show (same-day tickets are available if seats haven’t sold out) and there will be an extra charge (details on pricing will be written below). 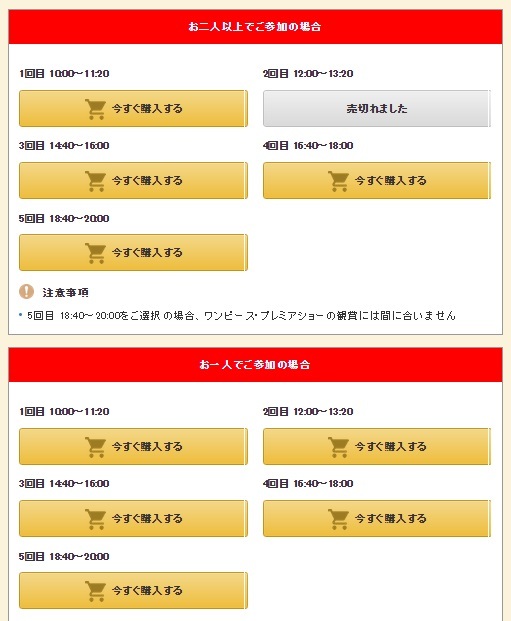 Sanji’s Restaurant is another event that incurs a charge separate from entry to the park but these tickets can also be purchased same-day (though availability may vary depending on how busy that day is). Different from previous years, there will be 5 times available for watching this lunch-show (before there were only 3 or so I believe), but some times will coincide with the One Piece Premier show, which means you’ll have to choose between watch the Premier show or watching Sanji’s Restaurant. 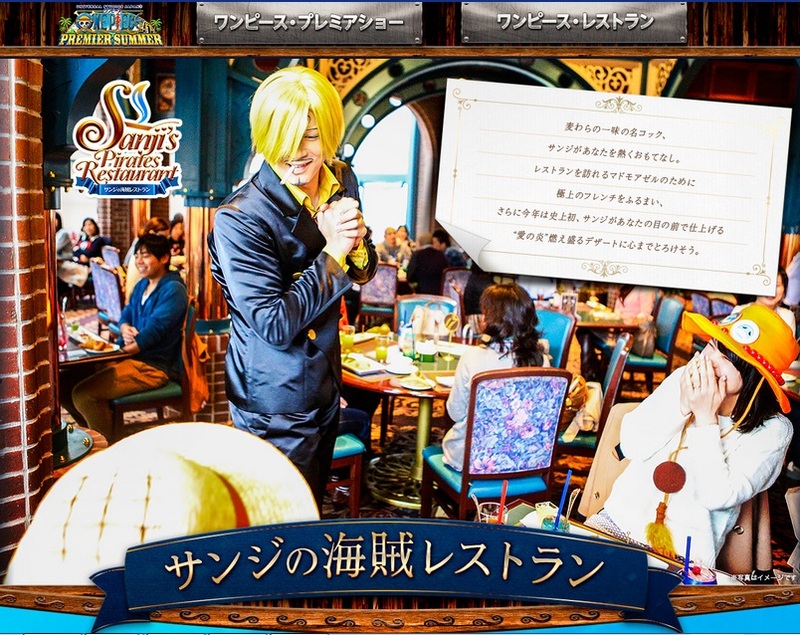 Luckily, Sanji’s Restaurant allows you to meet many characters from the series up close and personally, unlike the Premier Show, which makes missing out on the Show not such a bad deal. Character appearances seem to vary depending on the day and this information isn’t listed, but if you’re lucky, you’ll get to see most of the Straw Hat crew (and Law!) up close. As Sanji’s Restaurant is a restaurant, you will be provided a set course menu, with special drinks provided at extra cost. You will be able to choose between a fish or meat course, but I didn’t see any information or vegetable-only courses. Kid courses are available as well. You are welcome to go to the restaurant alone, but this year there are requesting that customers going alone share a table with other customers going alone (last year, each reservation had its own table, which was nice since it meant that there would be less people in the restaurant). This could negatively impact that atmosphere of the event, but I’ll try to reserve judgement until I visit next month. You can see my report on the restaurant last year here. As of today, all the details of the event have not been disclosed. Last year, there was a water fight between pirates and marines that was open to anyone in the park, but no word on whether if that will be happening this year. Checking the One Piece Premier Summer site should provide you with more information this month as the event prepares to kick off next month. You can try following the USJ Twitter or Facebook page, they seem post very little on OP events, so I would stick to periodically checking the website. The next big announcement is scheduled for June 8th, so I’ll try to update with more information on that day. Tickets for all One Piece events can be purchased online at the USJ web store, and like always, the information is only presented in Japanese. I wouldn’t go so as to say this event isn’t made for non-Japanese customers but I’ve yet to ever see any OP information presented in English. At all. 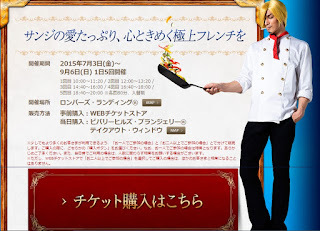 The Restaurant and Show are also presented in Japanese only, so be ready! Tickets DO NOT need to be purchased in advanced, however, certain days/seats may already be sold out, so I would advise that you purchase tickets as soon you’ve confirmed the date of your visit. 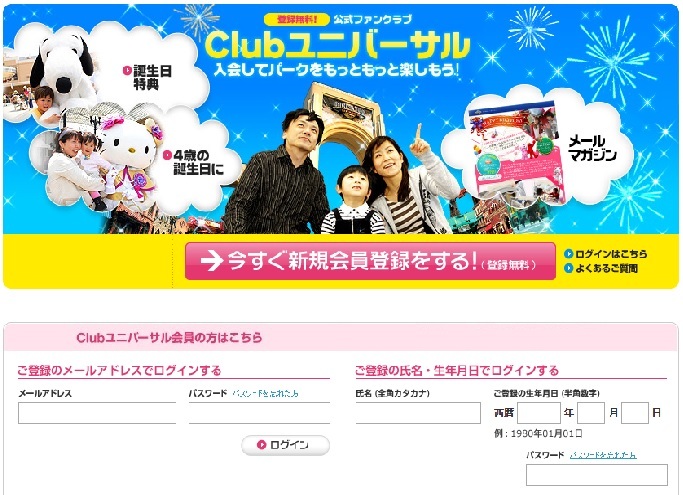 Club Universal Sign-up screen. The right side is for new members. Notice: You MUST be a Club Universal (USJ’s fan club) member to purchase tickets from the webstore. 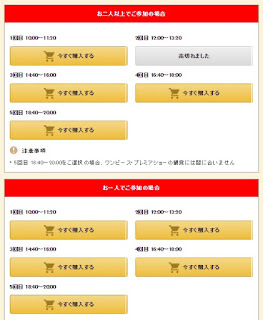 Registering is free but all information is presented in Japanese. The browser add-on Rikaichan will become your bff. Left to right: Seat Type, Adults (12yrs and older), Children (4-11 yrs old, 12 yrs still in Elementary still ok). Tickets start at 1980 yen for adults (980 for children) at an A2 seat, which are the seats farthest from the “stage” area. These areas are pretty good for viewing, but you may not get to interact (i.e. a high five) with the characters. Premier Show tickets cannot be purchased together with the park ticket either, so make sure you’re getting both for the right date. There are no refunds for these tickets once they’ve been purchased. Seating Chart for the event. 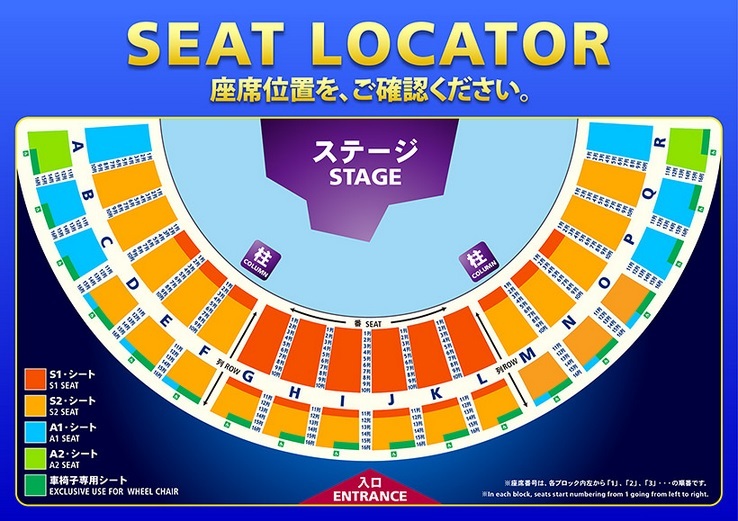 All of the S2 seats are within the dark orange area. Most are sold-out for weekends. Tickets can be purchased the day-of from inside the park, but there is no guarantee on availability. Web store purchases can be paid for with a credit card, but an address is needed when filling out the information, and I don’t believe addresses outside of Japanese can be used (I’ll try to double-check this if I make another webstore purchase). Tickets can also be purchased at the Japanese convenience store LAWSON (in which case, you won’t need a Jpn address, the machine might have an English option), or at JTB (a Japanese travel agency; they have an English website so they might be able to help). The Premier Show runs at the same time as the Starlight Parade, so you won’t be able to view both. Info on getting reservations for the restaurant. Good for Japanese practice, eh? Reservations for adults are 4980 yen (children are 2550 yen) per person and include an appetizer, main dish and dessert, plus a soft drink. 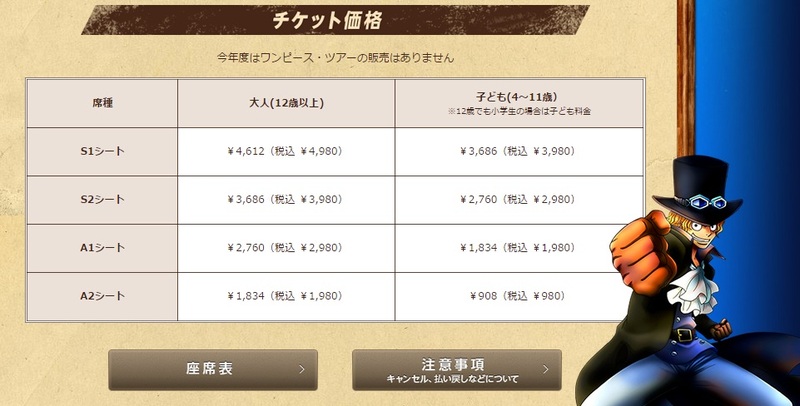 Special themed beverages (named after Sanji’s unique attacks) are extra. 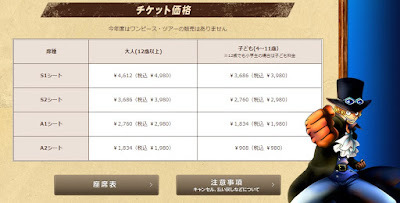 There is also onegroup photo per reservation, so everyone will have the chance to take a photo with the characters. Reservations can ONLY be made on the webstore or same-day at the park, but again, availability may vary depending on the day. From what I can tell on the site, the second “showing” at 12:00 until 13:20 is completely sold out (for groups of 2 or more persons). Other times are still available. If you’re purchasing tickets for a group online, be sure to select under the お二人以上でご参加の場合 (2 or more guests participating) option on the webstore page. Otherwise, you will only be able to buy a ticket for 1 person and you’ll have to sit with other people coming alone. Also, those with specific food allergies are asked to contact the Information Center in advance at 0570-20-0606. Tickets cannot be auctioned and only in special cases will refunds be issued. 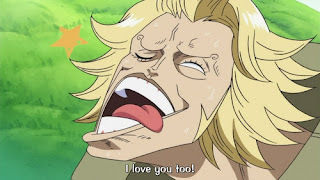 Availability for One Piece ticketed events aren’t so bad as of now, but if you want to check it out, I suggest you get your tickets together as soon as possible. I’ll be there opening weekend, checking out Sanji’s Restaurant and the Premiere Show, so I’ll be sure to post info on the quality of this year’s show ASAP (maybe lol). ⇨注意事項 – (chuuijokou) Precautions; usually information regarding refunds or scheduling availability. This area would be important to read if you use a season pass for USJ as certain days are not available for season pass holders. ⇨チケット購入はこちら – (chiketto kounyuu wa kochira) Buy your tickets here; usually links to the webstore page for purchases. ⇨前売 – (maeuri) Advance Sale; tickets purchased in advance. Many of these tickets need to be purchased at least 2 days in advance, though some venders only sale 3 or 4 days in advance. 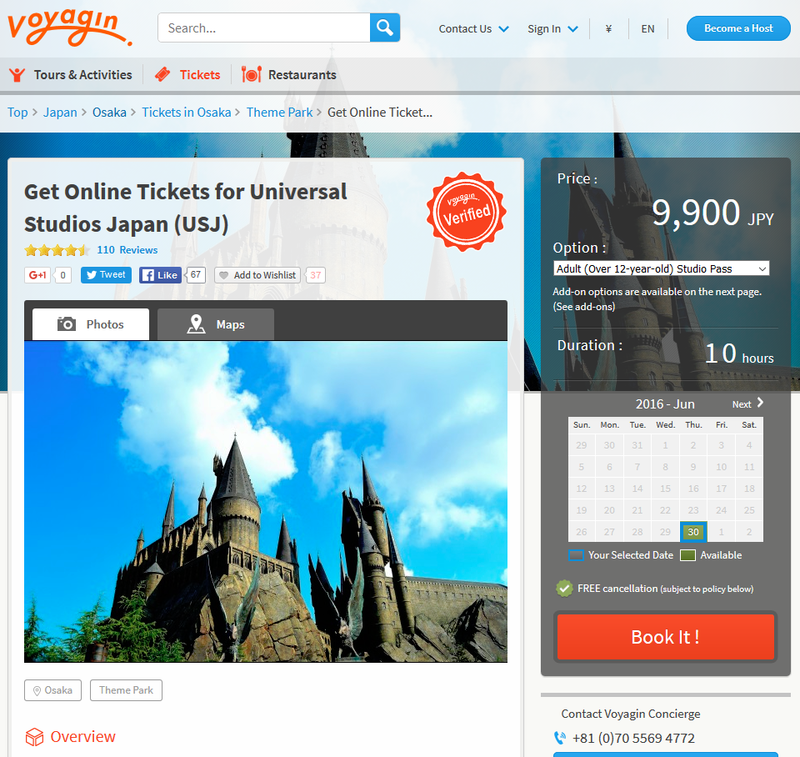 If you're looking for an English-language service for getting your USJ tickets, check out Voyagin! They'll help you get your park tickets, they have express passes and they can get you train tickets for your trip to the park. If you need them to, they can even print and send your tickets to your hotel, but make sure to read the instructions on how. Click here to access Voyagin's USJ reservation page. As always, questions are welcome! I’ll try to answer them ASAP (for reals!) just give me a holler. You can also check out other USJ-related posts here!